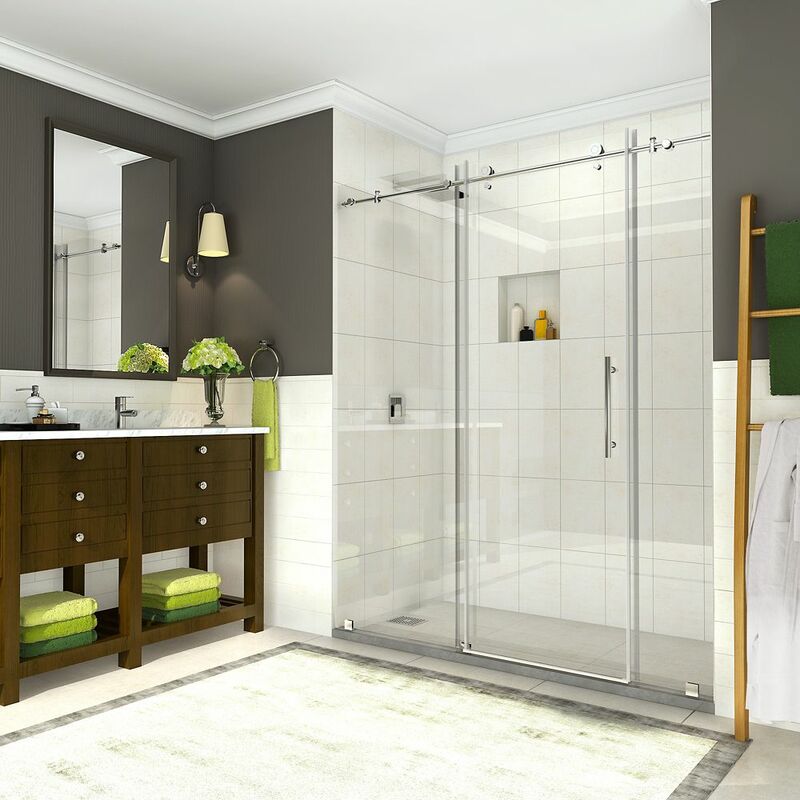 The DreamLine Essence frameless sliding bypass shower or tub door showcases a modern, elegant design with a striking silhouette. The Essence provides smooth gliding action with its sleek rollers without the significant framing of a typical bypass shower door. DreamLine's exclusive ClearMax water repellant and stain resistant glass coating adds superior protection from stains and is nearly maintenance-free. Step into a stunning oasis every time you shower! Please note: Drilling into the threshold is required for installation of this product. Coraline 68 inch to 72 inch x 76 inch Frameless Sliding Shower Door in Chrome is rated 4.8 out of 5 by 41.